I moved and have only one choice for cable TV and internet. The selection of channels are limited and they are constantly raising my rates. If I cancel my cable they raise the cost of my internet and drop my bandwidth speed. How can I keep my cable TV, keep my internet, but still have more channels without upgrading or cancelling my cable TV package and still lowering my cable bill? Option 2 – Cancel your service completely and have your husband or wife sign up for cable TV and internet. You will then get new customer package promotions and save money. 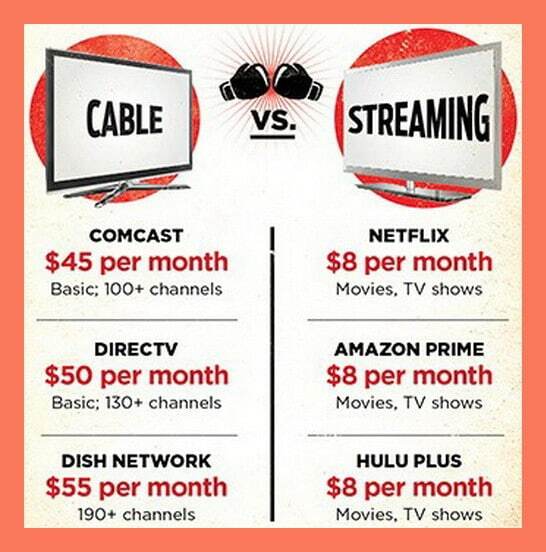 Doing something comparable to this can cut the internet bill in half and make some of the premium cable channels free for 12 months like Showtime and HBO. Option 3 – Cancel only your cable TV and keep the internet. You may need to talk to someone at the cable company to have them waive any fees or from reducing your internet speed. 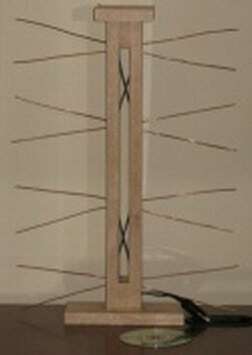 Then buy an HDTV antenna and use it to grab the HDTV signals from the air for free. These HDTV antennas can be mounted on your roof or put near a window. This will not give you hundreds of channels but will give you about 30 FREE HDTV stations. Option 4 – If you don’t (or can’t) cancel or add to your cable TV package but still want to be able to get MORE HDTV channels, get a SlingTV for around $20 a month. Sling currently has 24 channels in the basic package. There are several other packages like sports, kids shows, 24/7 news, recent movies, and more for about $5 dollars more each month. HBO HD is around $15 a month but you will need to get an Amazon FIRE TV player, Roku player, Nexus player, or an Xbox console to stream it to your HDTV. SlingTV is promoting deals right now to get a free Roku Stick if you sign up. For an extra $50 you can add a Nexus player or Roku 3 if you sign up. You will still need internet if you get SlingTV but this may save you some money in the long run. Option 5 – Cancel the account under your name and open a new account in your roommates name. Get the promo bundle and the cable bill will drop about 40% per month. They will usually offer one 3 recording DVR set top box, an HD set top box, free HBO, free Starz, a 100 mbps internet connection, and a landline. OR look into Dish Network Or DirecTV. Bonus: Use a family members password to access Netflix. This will give you a world of TV shows and movies. Netflix lets families share the account depending on which Netflix plan they have chosen. Right now Netflix offers 4 people streaming at once with 4K ultra HD movies for $11.99 per month. 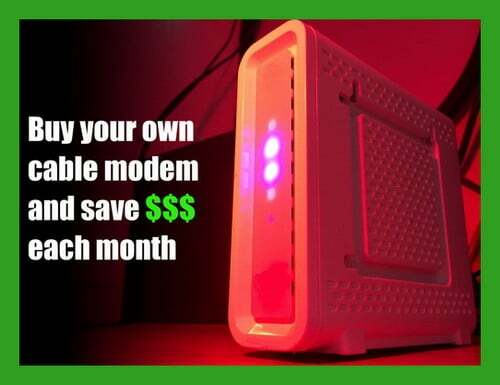 Buy your own cable modem! Do not rent or lease one! This will save you money! PlayStation Vue ($49.99 per month) PlayStation Vue live streams TV, offers 50 channels, movies and recording playback. It requires a PlayStation (PS4 or PS3). Hulu Plus ($7.99 per month) Hulu Plus offers a variety of popular shows one day after they air. You will also have access to movies and original series. Sling TV ($20 per month) Sling allows you to live stream 20 channels, like ESPN, CNN and The Food Network, and movies. Netflix ($7.99-11.99 per month) Netflix has cable shows, movies and original series. Amazon Prime ($8.25 per month) Amazon Prime offers TV shows, movies and original series. NO month-to-month commitment, sign up for a $99 one-year membership. 15 feet of wire. Roughly 5 feet of copper three conductor house wiring will do fine. Two 15×9 grill screens work well for a few dollars. One Balun – A thing with a coax plug on one side, two wires with screw holes on the other. These are commonly used to attach old TV’s to coax antenna’s or cable. If you know of other ways to lower your cable bill, please leave a detailed comment below.